With just 10 days before the big holiday, it’s definitely officially Christmastime. There’s the décor and carols and parties aplenty. On the Gulf Coast, I’m back and forth between flip flops and boots, coats and short sleeves, but most of the rest of the country is warming themselves by the fireplace or under a pretty blanket of snow. Christmastime means something different for everyone. We all have our little traditions that help get us in the spirit of the holiday. Growing up, my favorite tradition was the day each year that my mom and I spent together in the kitchen baking batches and batches of baked goods like cookies and breads and dessert bars to share with family, friends, and neighbors. We’d make all kinds and divvy them all up into a mixed assortment to give away. Pre-Paleo, baking was one of my favorite pastimes. I loved the routine and ritual of baking something from scratch from start to finish. After I started Paleo, baking became less and less of a priority because I didn’t enjoy almond flour concoctions. At that time, it was pretty much almond flour or nothing. I switched to using white rice flour for some goods, but the more and more research I did, the more I felt that desserts weren’t really “Paleo” even if the ingredients were. So I slowly transitioned to not eating many desserts at all. And that’s where I stand, especially now as someone who is trying to closely follow the Autoimmune Protocol. But. There’s always a “but”. The desserts might not be AIP, but I do think they are “AIP-friendly”. That’s not an official term, but you’ll see it often on my blog. What does that mean? While the idea behind desserts and baked goods may not completely jive with all the essentials of AIP, if all the ingredients are approved on the protocol, then I feel this makes them “AIP-friendly.” And I firmly believe that AIP-friendly baked goods and desserts have a place in the Autoimmune Paleo lifestyle or any other healing diet. Because AIP isn’t just about the food. AIP is about learning our bodies, and learning to cut back on stress and enjoy life so that we can nourish our souls too. Now I’m not arguing in favor of binge-eating or emotional eating, but we get cravings for comfort foods, and they are called “comfort foods” for a reason. Mark Sisson has a great article about Why We Crave Comfort Foods, where he addresses the psychological aspect of eating certain foods, and why it’s not always that bad to cave and enjoy them in moderation. AIP treats allow us to do just that, and to do that without completely derailing our healing efforts. AIP can be extremely difficult, because this isn’t a diet where 80/20 or cheat days are feasible. You’re either all in or you’re dealing with serious setbacks every time you consume a damaging food. And that’s why I’m glad for the other bloggers who create these fabulous treats for us. I may not be much of a baker myself any more, but any dessert or treat that allows us to “splurge” or enjoy ourselves and stay compliant to the Autoimmune Protocol at the same time is something that I can truly appreciate. So this year for Christmas, I’m not going to spend the day baking batches and batches of desserts and confections to share. 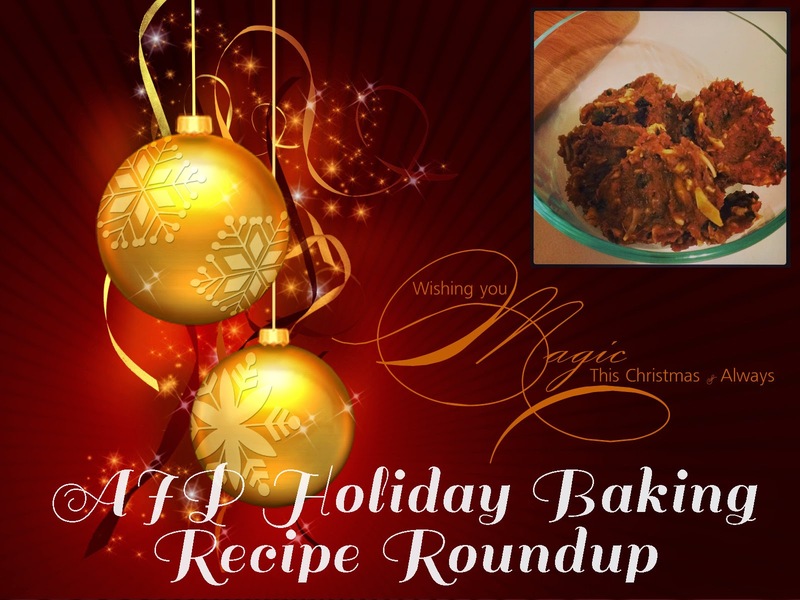 I’ve decided to round up the best AIP Holiday Baked Goods to share with all of you instead. Merry Christmas!